Shatavari is an Ayurvedic herb well-known for its ability to increase breastmilk production in nursing mothers. It’s considered an “herbal Domperidone” and helps to get things flowing. It helps increase the vital fluids in the body. It is the foremost Ayurvedic herb used as a reproductive tonic for both men and women, restores moisture to the lungs, respiratory tract, and digestive system, and an herb that helps one adapt and cope with stress. It is rich in antioxidants and helps to promote healthy energy levels and strength. This is a great herb for breastfeeding mothers who wish to conceive again. Vitex can be used also to help balance hormones to help make conception easier. Rejuvenating tonic for the female reproductive system. Shatavari is the primary uterine tonic herb in the Ayurvedic system. Helps female reproductive issues from menarche (the start of the menses) through the childbearing years and into menopause. Helps alleviate vaginal dryness, hot flashes, mood swings, irritability and insomnia in menopausal women. Menopause - helps to quell hot flashes, irritability, memory problems, and dryness (including vaginal dryness). Rejuvenating tonic for the male reproductive system. As Shatavari is of the asparagus family, do not use by those with asparagus allergies. Asparagus (including Shatavari) may have some diuretic effects, so those on diuretic medications may want to avoid this herb. Due to its ability to increase moisture to the digestive tract, it may cause loose stool in some. To the opposite effect, it may also help to alleviate constipation in others. 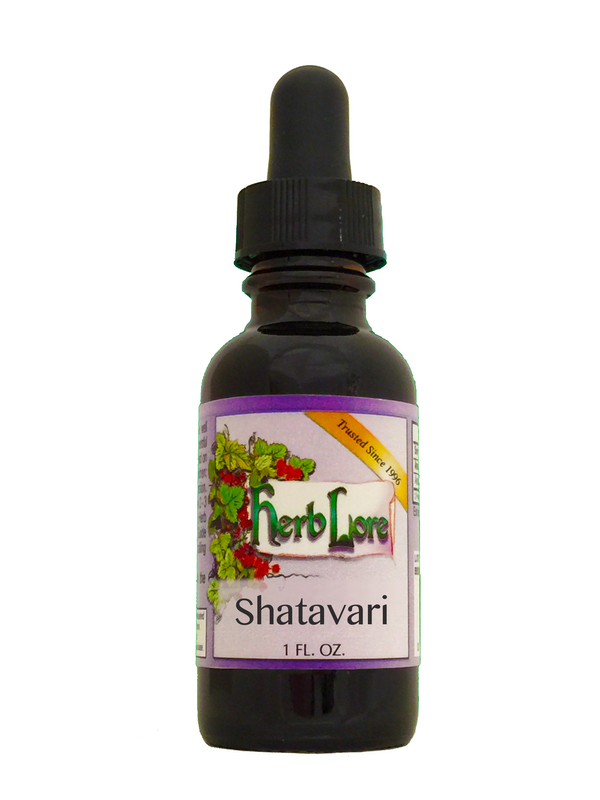 Shatavari should not be used by those with celiac disease or other malabsorption issues, as this herb is a mucilage herb that can coat the intestinal lining causing medications or nutrients to not absorb as well. Simply take your other herbs or medications a few hours apart from Shatavari. There is speculative information (meaning they suspect but haven't proven) that Shatavari should not be used in the first trimester of pregnancy. As we tend to work very conservatively, we also then do not recommend it's use during the first trimester out of an abundance of caution. For those interested in the Ayurvedic qualities of this herb, Shatavari…. To read what the qualities of Pitta, Vata and Kapha are, see the article on Ayurveda under More Information.